In a follow-up on the human rabies situation in Sarawak, Malaysia, health officials have reported one more human rabies case and fatality. The new case was an 80-year-old woman from Kampung Sg. Du’uh, Jalan Kuching-Serian, Serian, Sarawak who received scratches from her dog while breaking up a fight with their cat. The victim had washed the wound using only alcohol and did not seek further treatment. The dog was dead the next day. The dog never received anti-rabies vaccination and was free to roam. On January 11, 2019, the victim had fever, cough, vomiting, lethargy, body aches and weakness in the left hand, and had been receiving treatment at a private clinic on the same day. However, the victim did not inform him that he had been bitten by a dog. The victim was referred to the Sarawak General Hospital on January 14, 2019 by the same private clinic when the symptoms did not diminish as he recaptured treatment. The condition is severely affected by neurological symptoms including hydrophobia. The victim died on January 18, 2019 at 9:35 am. Clinical samples of cases have been certified rabies by the Institute of Medical Research (IMR) on 18 January 2019. 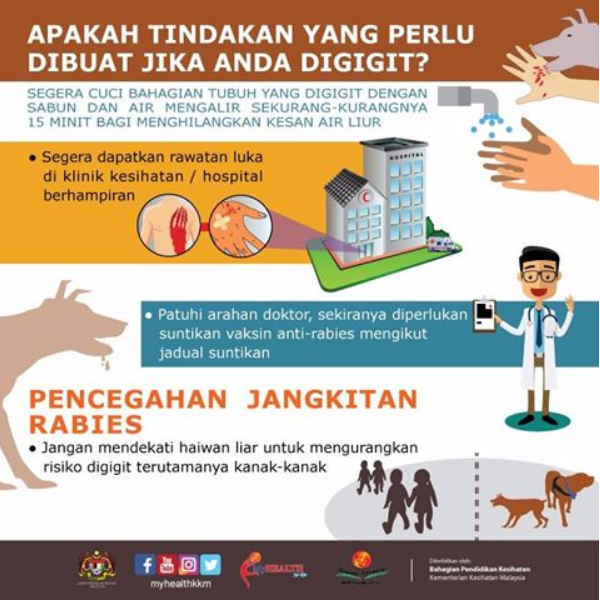 With this latest case, the case of rabies confirmed among humans in Sarawak since the declaration of the epidemic on 1 July 2017 until 18 January 2019 was 17 cases including 16 deaths. Shingrix shortage: Is Schumer linking it to the shutdown?